It’s a sad experience for the Populary known Kenyan Blogger robbert Alai after his brother was found murdered in cold blood. This came days after the controversial blogger Robert Alai posted on his social media pages that his brother was missing and pleaded with the public to assist trace the whereabouts of his brother only later for his body to be found dumped around Kikuyu by the police. Tom alai’s body was taken to a nearby mogue after it was found dead by the police where later Robert came and identified his brother. Robert claims to have gotten information that could lead to the arrest of who killed his brother and bring Justice to who did the Shameless UnGodly act. Blogger Alai is warning his brother’s killer to turn him/herself in before he/she is caught up by the police. 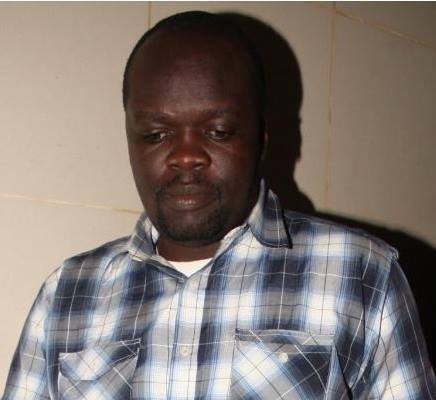 Alai went ahead to disclose a Motor vehicle registration number which he believes was used during the time of his brothers’ murder. The car is believed to be a Toyota NZE KBR 346R.